Edinburgh men’s dark-grey waistcoat. 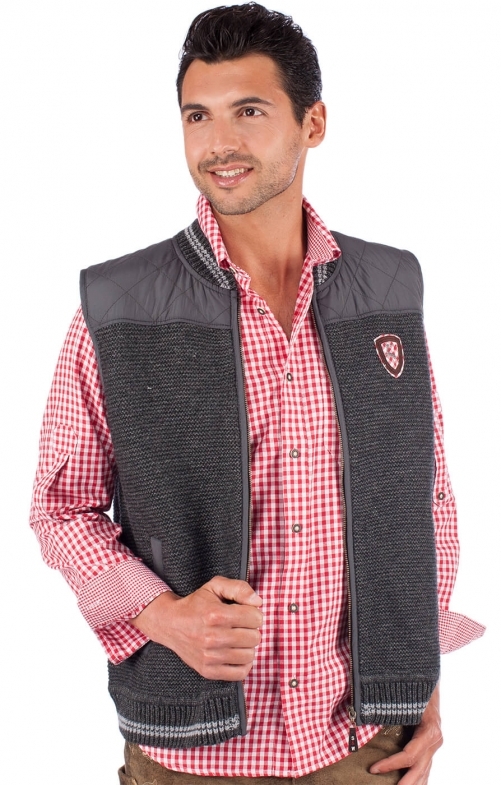 The knitted design dark-grey waistcoat reflects authentic Trachten fashion and this is a great Oktoberfest item that can be teamed with a shirt and leather trousers. The waistcoat has been created from a cool blend of 60% wool and 40% polyester. The shield on the breast adds an extra touch of Oktoberfest class.